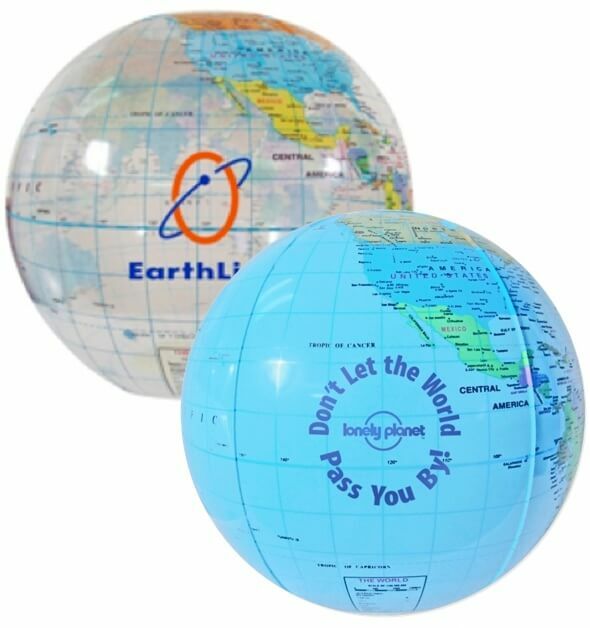 Note World map on globe beachballs are for promotional purposes only and are not intended for educational purposes. The exact locations of countries and cities etc. may or may not be accurate. Imprint Area 3 7/8" diameter OR 4 1/2" x 1 3/4"